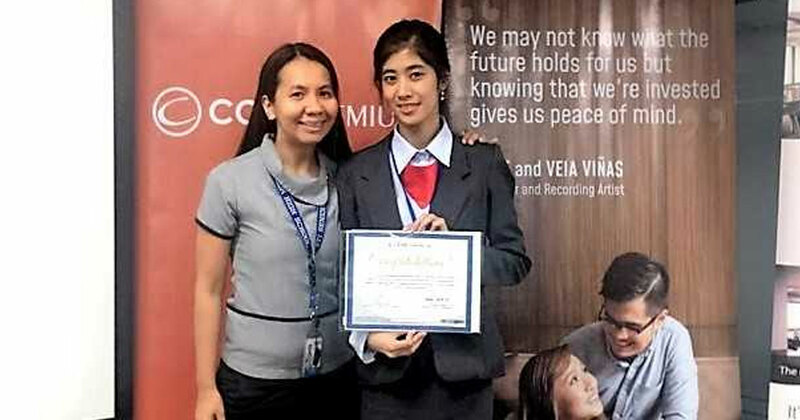 Cheyanne Chua King, a 1st year Bachelor of Science in Accounting Information System (BSAIS) student from STI College Taft (now STI College Pasay-EDSA) brought pride to the entire STI community by earning the Championship title in the COL Financial and Junior Achievement (JA) Philippines Stock Market Challenge Competition 2018-2019 – College Division on February 13, 2019 at the Caylum Trading Institute, Philippine Stock Exchange Centre, Ortigas Center, Pasig City. Organized and sponsored by COL Financial and JA Philippines, the competition aims to educate Senior High School and College students in stock market investing. It also focuses on exposing the participants to the knowledge and tools that will help them to confidently invest and attain their financial goals. After six months of online stock trading, King made it in the competition's final phase with the portfolio value of almost PhP 1 million. With the guidance and support of her adviser Mildred Barretto, she impressed the judges with her skills during the panel presentation and interview where finalists will act as a financial advisor and convince the institutional investors to invest in their company. Out of 300 students in the College/University category, she emerged as the Grand Finalist of the Stock Market Challenge. College students from STI College Fairview and STI College Muñoz-EDSA as well as Senior High School students from STI College Cubao and STI College Las Piñas also impressed everyone by being part of the final phase of the competition. STI extends its utmost support to various events that will mold the students into competent and well-rounded individuals. With the aim to deliver quality education, the institution strongly and continuously recognizes the benefits of competitions in unleashing the potential of every student.